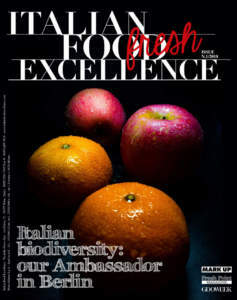 The Chinotto soft drink, the Gazzosa, the Chinotto-flavoured tonic water and the Orangeade are born out of the research carried out by Lurisia concerning perfect ingredients, cultivated as it happened in the past, with natural methods and in strictly typical Italian areas: chinotto coming from Western Ligurian Riviera, loose lemons from Amalfi, oranges from Gargano. 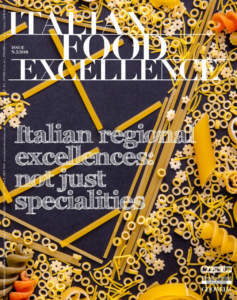 These are raw materials of excellence, which are combined without using additives and offer the original flavour of tradition. The base is the very pure and light thermal water of Lurisia, an excellence in the market of Italian mountain waters. The drinks proposed by Lurisia are exported in about 20 Countries all over the world, with a significant growth trend. The most important Countries are the whole Western Europe, USA, Australia, and Japan. Today drinks constitute 40% of the proceeds of sales of the whole company. The best selling product is chinotto soft drink. The main character of the history of Lurisia is a miner of the twentieth Century who discovered this water when by chance he hit a spring of water in the cave of Nivolano. This water was good to drink and the miners began to wash their sores and wounds with it, noticing that they healed in a very short time. The ‘miraculous’ gifts of this spring attracted some onlookers, but also physicians and researchers, who studied the characteristics of the water and certified its curative and beneficial qualities. Lurisia Terme, located at the foot of Maritime Alps, easily reachable from Cuneo and Alba, land of truffles, at a few kilometres from French boundary and sea, is still an uncontaminated and pure place. An important thermal plant, too, is present, where it is possible to benefit by cycles of treatments and massages. Lurisia water pours at an altitude of 1.416 metres, in an uncontaminated environment, far from pollution. It is very light, with a very low content in sodium. ‘Bolle’ and ‘Stille’ waters are proposed in both Winner and Alu versions. The Winner version, designed for Ho.re.ca channel, contains the best of made in Italy: very light water coming from Fonte dei Pini of Lurisia, exclusive design by Sottsass Associati, cap signed by Guzzini, and Verallia glass. It can enrich every table with its style and is tasty thanks to its very low content in sodium, which makes it perfectly compatible with our body. The Alu version proposes returnable bottles, with the same exclusive glass bottle, but with ‘Fonte Santa Barbara’ water, created in order to radically change the idea that returnable water bottles are standard products, which cannot be original. In order to produce chinotto soft drink, a pleasantly bitter drink, only the ancient citrus of western origin, cultivated in the Western Ligurian Riviera since 1500, is used. The chinotto of Savona has intense and characteristic scents as well as an extraordinary juiciness. 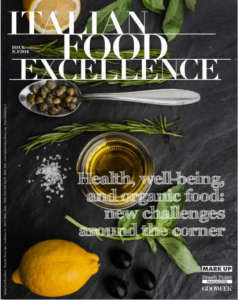 From chinotto, but by using its tincture only, tonic water is obtained, without lime, in order to maximize its digestive and above all thirst-quenching effect. The Gazzosa with true ‘sfusato Lemon of Amalfi’, a rare product cultivated for almost 4 centuries on the terracing in the Coast of Amalfi, has been very successful. Its pulp is juicy and semisweet; it is rich in essential oils which lend intense aromas to the fruit. Orange of Gargano, too, arrives from South, but from Adriatic Sea. It is used for producing an orange drink which preserves both flavour and scent of the fruit. Oranges from Gargano ripen at the end of the winter and for this reason they are characterized by extraordinary resistance: very thin peel, crisp pulp, and juice which tends to sweet. This allows obtaining an incomparable orange drink. 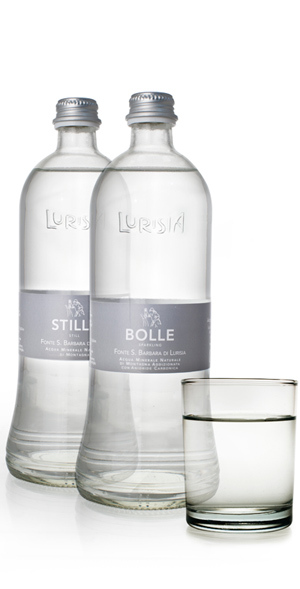 Besides the four soft drinks and mineral water ‘Bolle’ and Stille’, Lurisia proposes ‘Unico’ too. It is a soft drink produced with 100% fruit from autochthonous agriculture of Piedmont: Barbera grapes, apples, pears, and peaches of Piedmont. It is pure, without either colouring agents or preservatives, and has the natural colour of the fruit it contains as well as a new, original, unique flavour. The production of beer with ‘Normale’, which is the result of a meeting between Teo Musso’s creativity, an eclectic producer of artisan beers, and Lurisia quality, is new, but very successful. It is produced in Italy according to tradition, with Italian and selected raw materials only, and is good because it is not pasteurized. It has been called ‘Normale’ because its flavour is typical of true beer .